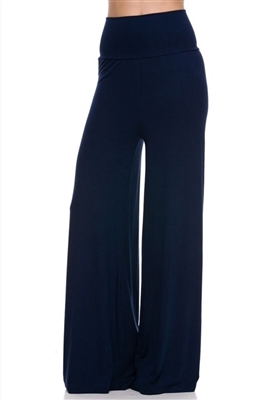 Palazzo pants with foldover waistband or can be worn as high waisted pants. Long length but hem can be cut without fraying. Machine washable. 96% polyester. 4% spandex. Made in USA.